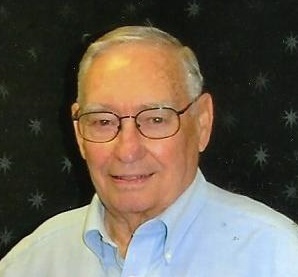 Jimmy Ray Duncan, age 89, of Mesquite, passed away at his home, December 9, 2018. He was born October 20, 1929 to James Andrew and May Russell Duncan in rural Hunt County. He married Dorris Lytal, September 4, 1953 in Dallas. He is survived by his wife, Dorris, daughters and sons: Scheryl Woodard and husband Charles, Randal Duncan and wife Renee, Joe Duncan and Susan McGuire and husband Keith. He is also survived by his grandchildren: Kerri Ford and husband Bob, Stephanie Mailloux and husband Andrew, Lauren Duncan, Jessica Lee and husband Elliott, Kelsie McGuire, Madison Davis and husband Trey, and Reid McGuire. His great-grandchildren are Ava, Juliette, Viviana, and Kinglsey. Other survivors include his sister Edith Moore, two brothers Hal and Willie Duncan and numerous nieces and nephews. The funeral service will be Friday, December 14, 2018 at 10:00 A.M. at Meadow View Church of Christ in Mesquite. Visitation will be Thursday, December 13, 2018 from 5:00 to 7:00 P.M. at Meadow View Church of Christ. Interment will follow at Mt. Carmel Cemetery in Wolfe City at 2:00 P.M. Friday, December 14, 2018.